While Al Gore and Hillary Clinton were competing for influence in Bill Clinton's White House, neither of them could have possibly imagined how much their futures would eventually align. With the final results of the 2016 election still trickling in, it seems quite likely that Hillary Clinton won the popular vote, despite losing the electoral vote to Donald Trump. As anyone old enough on the Left remembers, the last president to win the popular vote but lose in the electoral race was Al Gore in 2000. The 2000 election happened quite differently, but the fact that these results mirror each other is a definite sting for the Democratic Party. In Clinton's case, it looks like votes pushing her over the top of the electorally meaningless popular vote contest will come from California, where very few precincts were reporting when they called the race in Clinton's favor. While tight races in important swing states like North Carolina and Pennsylvania went to Trump's count, the Clinton camp was able to count on huge victories in the big states that they already knew they could depend on, namely New York and California. The electoral votes arrived in their column well before the first vote over 50 percent had been counted, and then the rest of the votes she garnered there just went quietly towards her popular vote total. It's of almost no consolation that she's the first woman to receive the votes of over half of the American electorate. What stands out more is that the candidate who railed on about a "rigged election" has now won in a circumstance that, had the situation been switched, he almost certainly would have loudly protested. It's the cruelest sort of irony, and judging by Trump's acceptance speech (gracious though it was), it went entirely lost on him. In the interest of maintaining the tradition of peaceful transitions of power that define any functioning democracy, though, Clinton has already conceded to Trump despite the fact that the majority of American voters chose her. 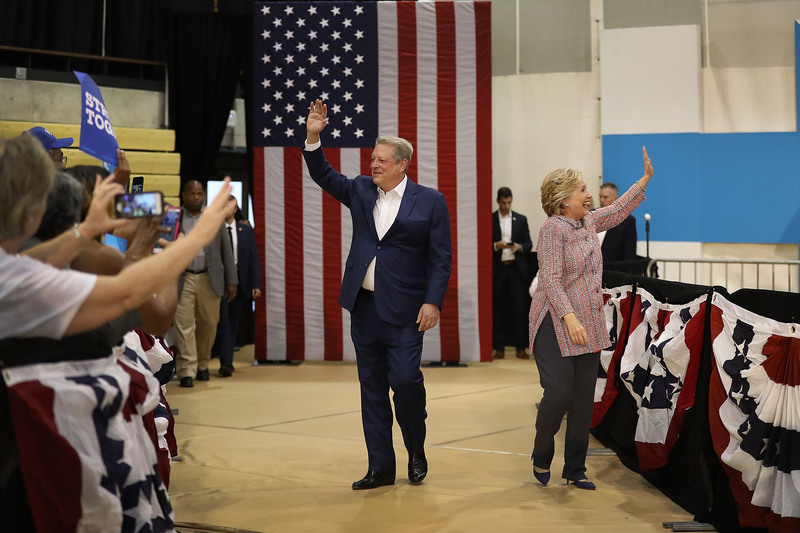 Those who supported Gore in 2000 have not easily forgotten that election, and it's likely that Clinton's supporters will find themselves in the same predicament for years to come. Due to the way the laws of the country work, it's indisputable that Trump won the 2016 presidential election. However, when all is said and done, it will likely be Clinton who can say that she got a majority of votes — and that's a difficult thing to sit with.